Add a little color with these eye-catching banners. Each uses artistic swatches of paint to draw your viewer's attention. Each text field uses a clear, legible font, placing bold text against thinner text for emphasis. A smaller line of text sits under each header, giving you a place to put important details. These banners focus on primary colors, which firmly establishes the artistic aesthetic. The placement of the text and the paint swatches varies from banner to banner in order to maintain a fresh look while developing a sense of continuity. 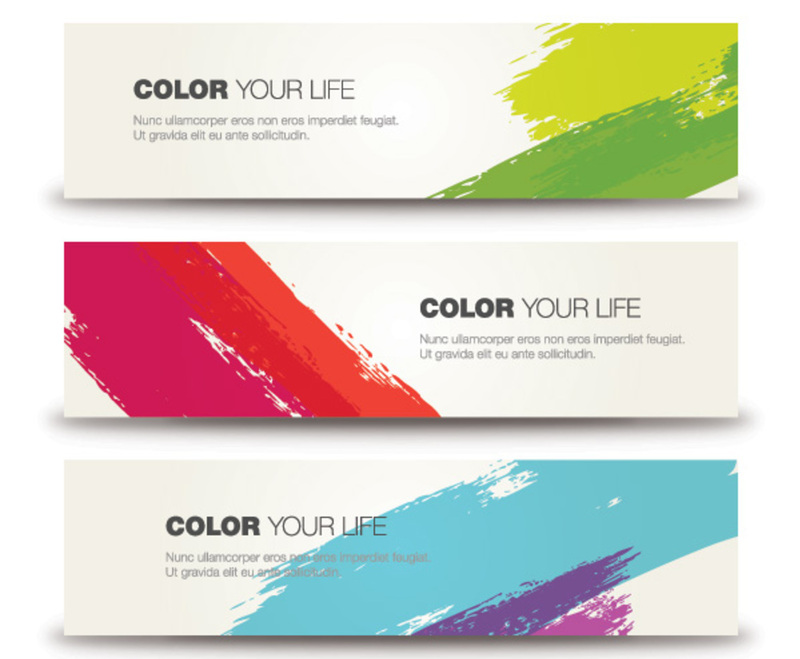 These are ideal banners for any website with strong artistic elements.